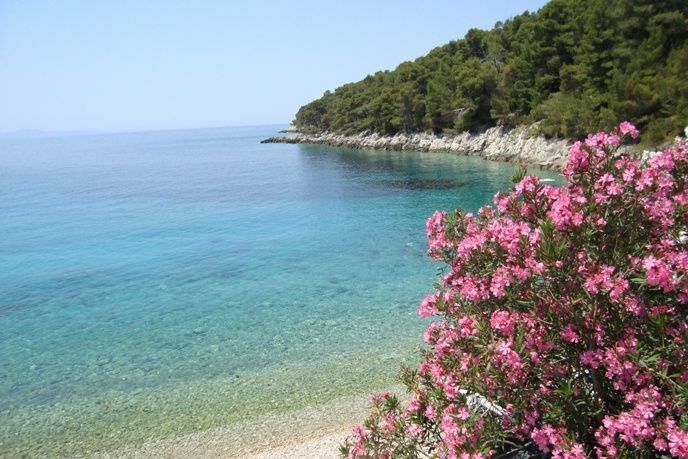 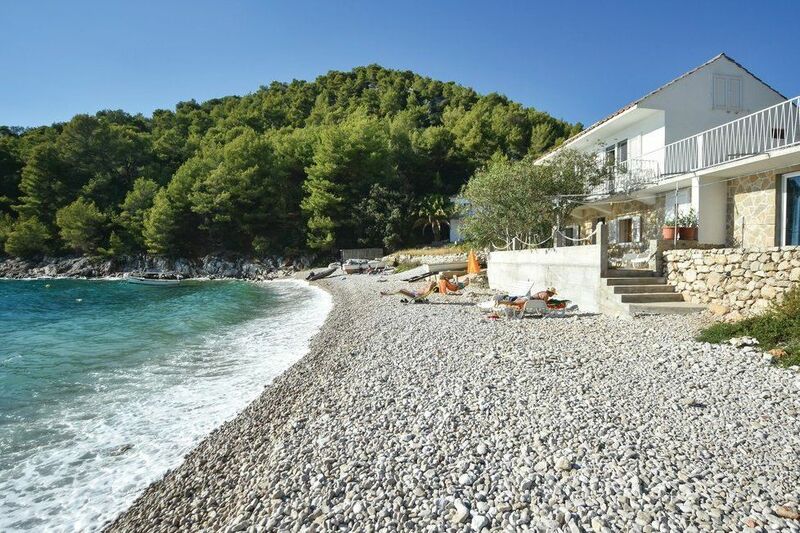 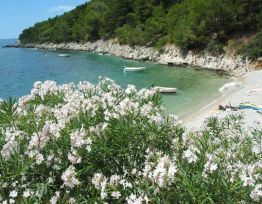 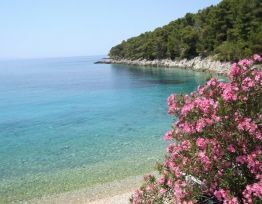 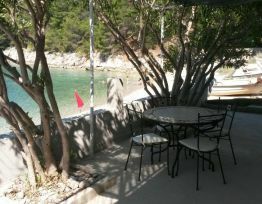 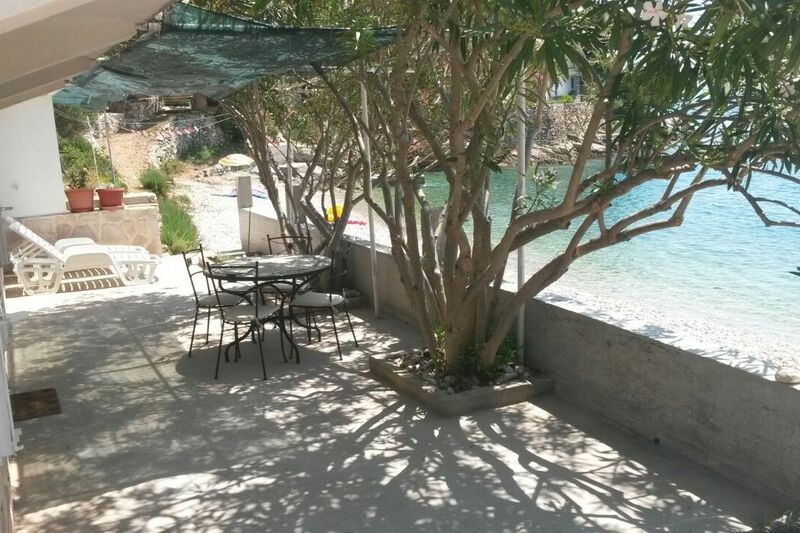 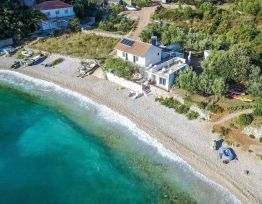 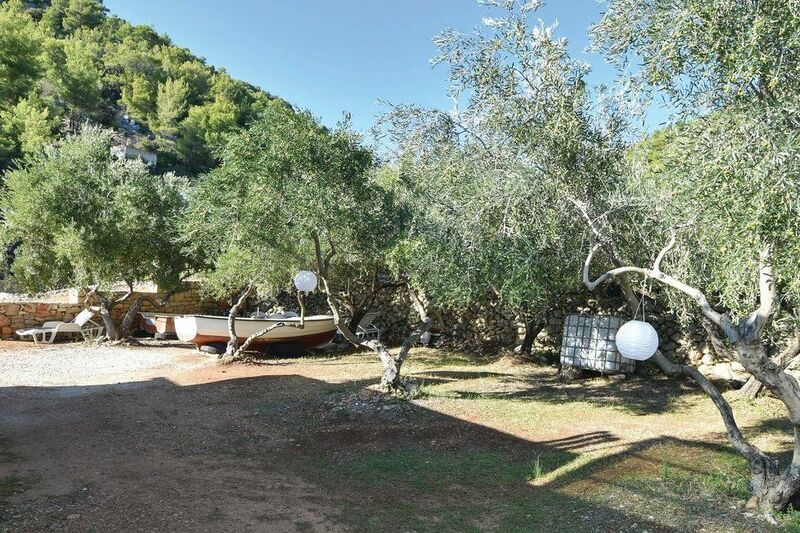 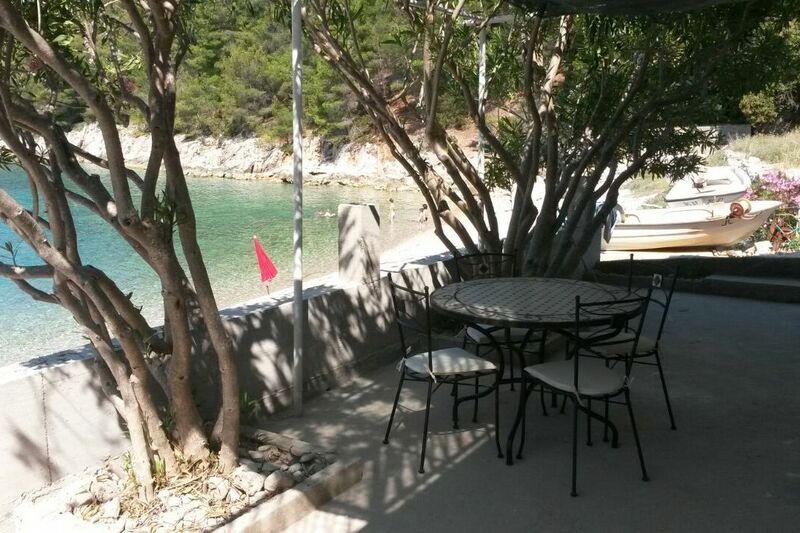 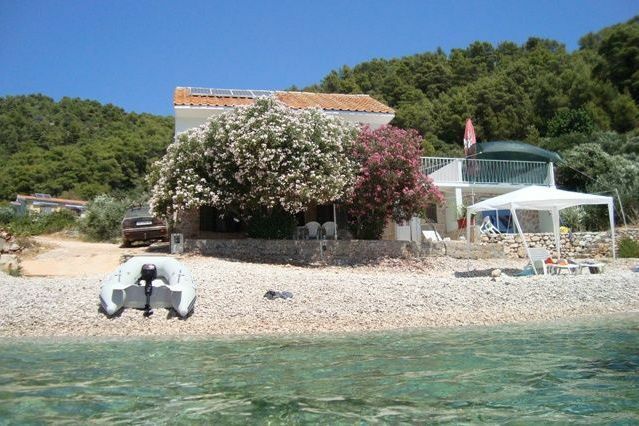 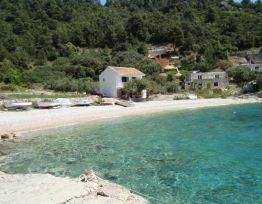 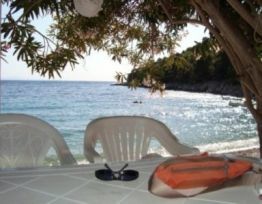 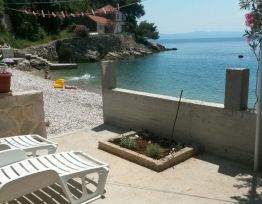 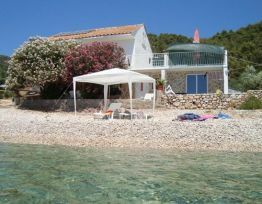 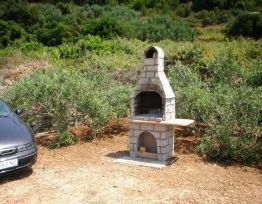 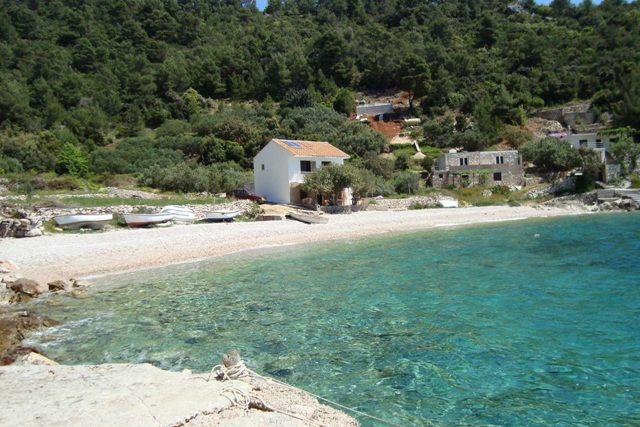 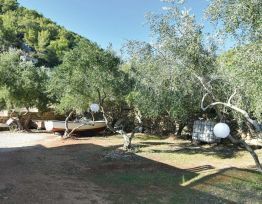 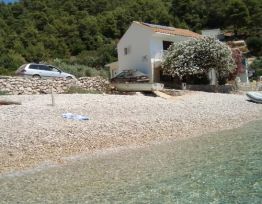 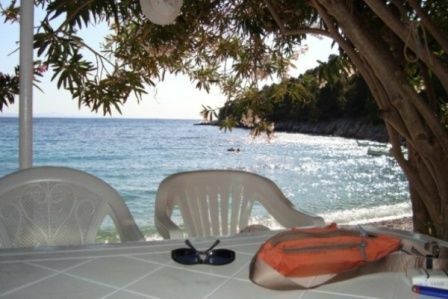 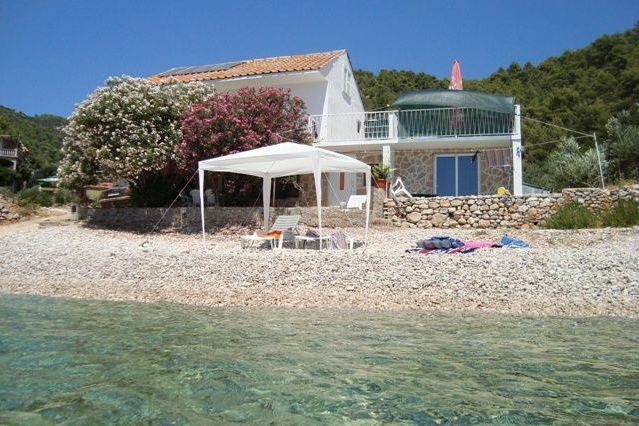 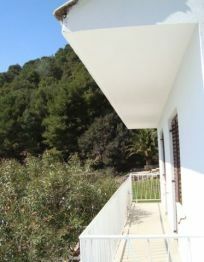 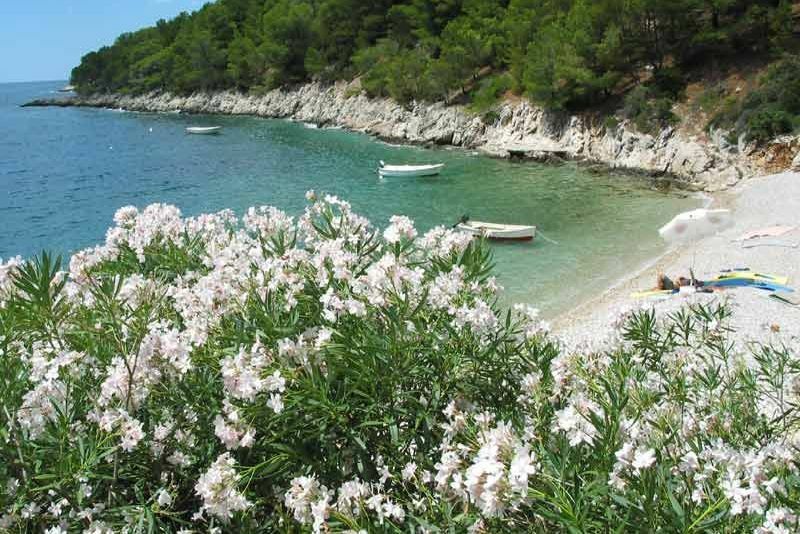 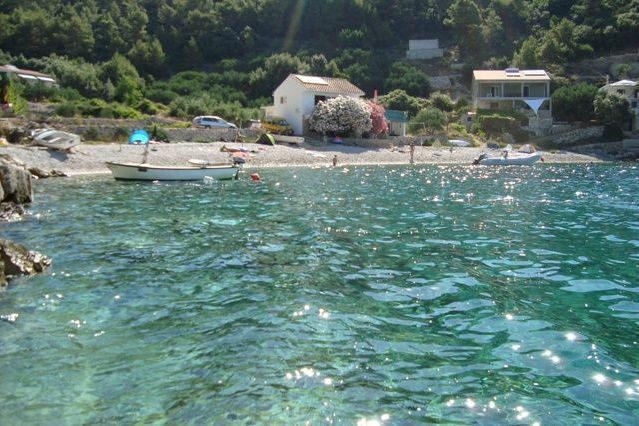 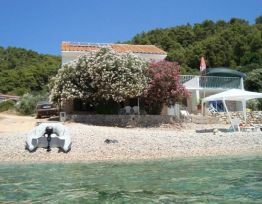 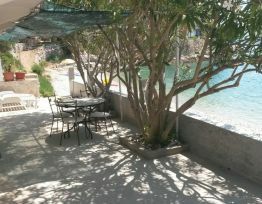 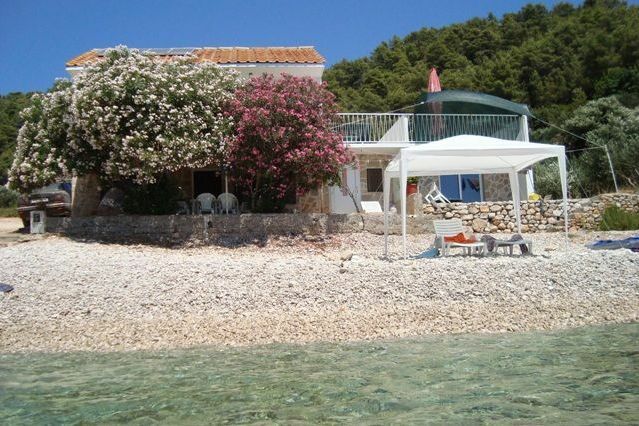 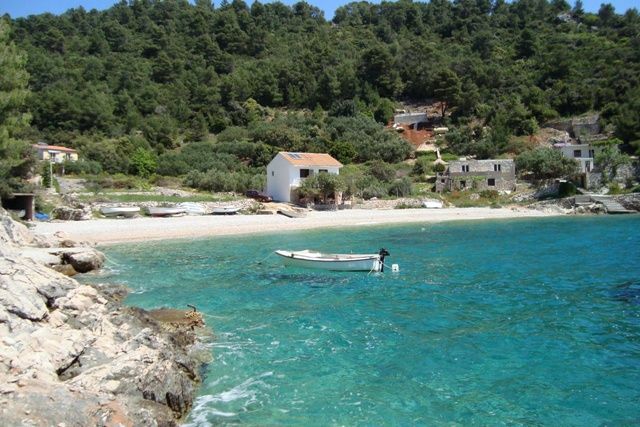 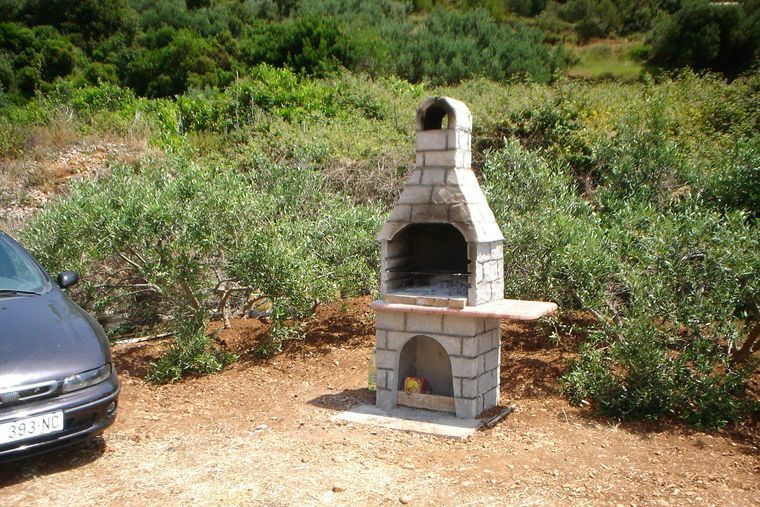 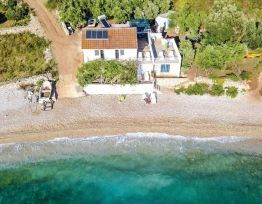 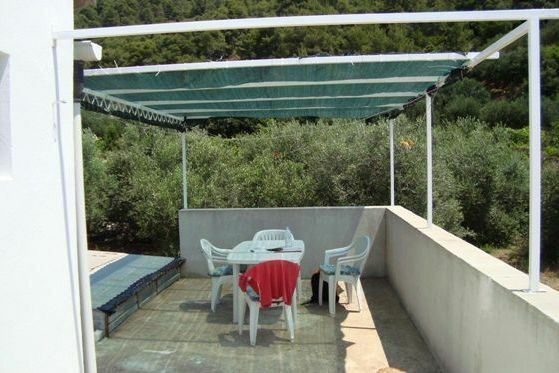 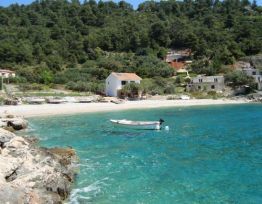 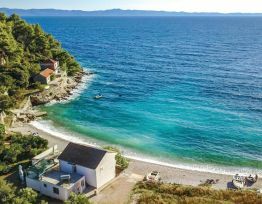 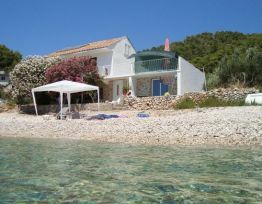 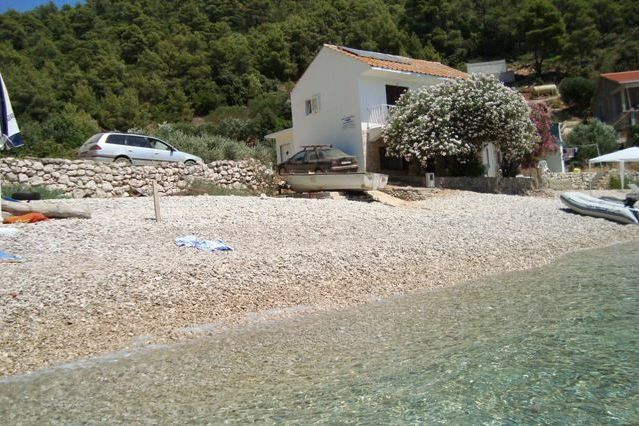 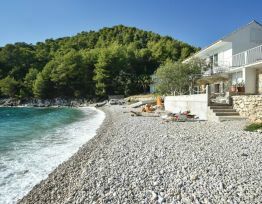 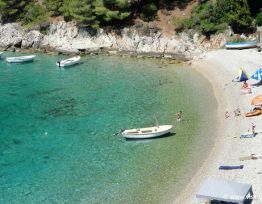 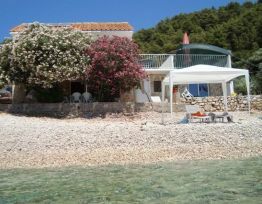 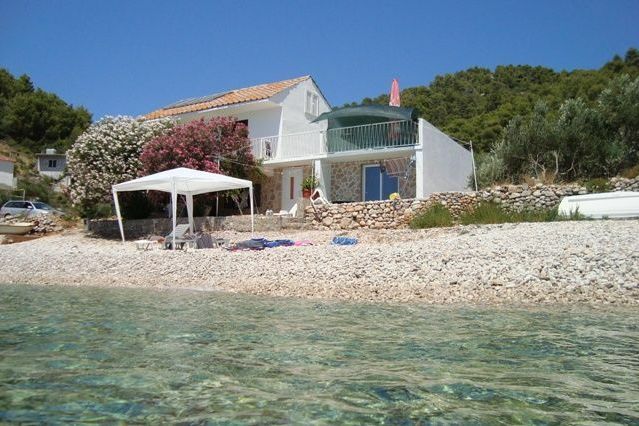 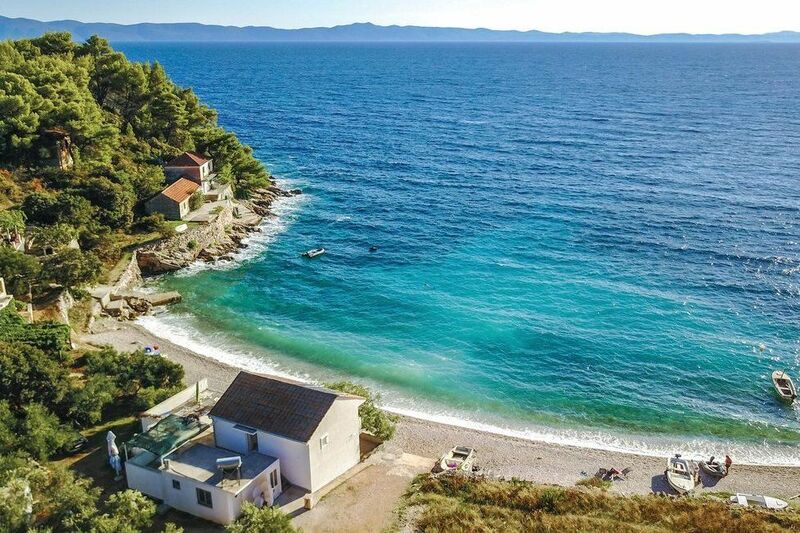 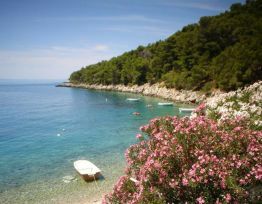 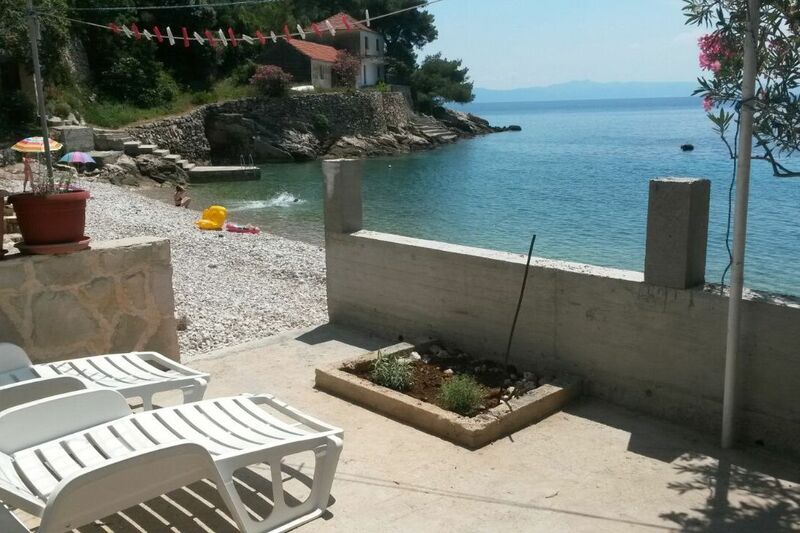 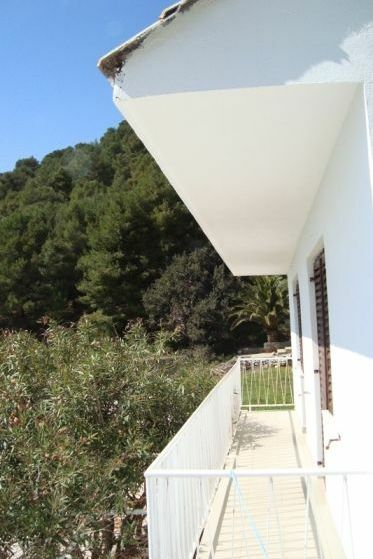 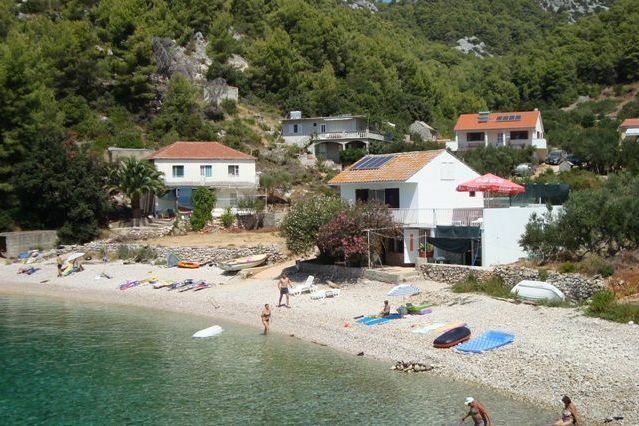 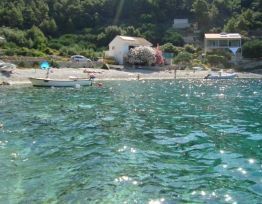 This house is situated in a beautiful, peaceful bay Skozanje, near the settlement Gdinj on the island Hvar. 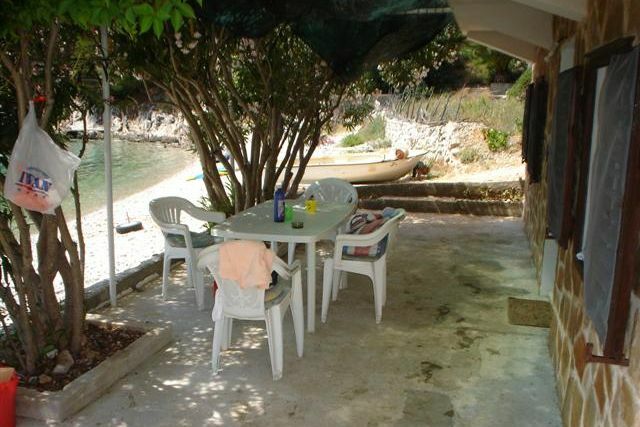 The house is located directly on the beach, 5 meters away from the sea. 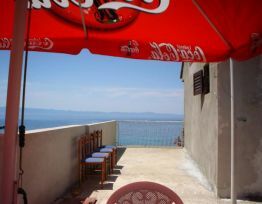 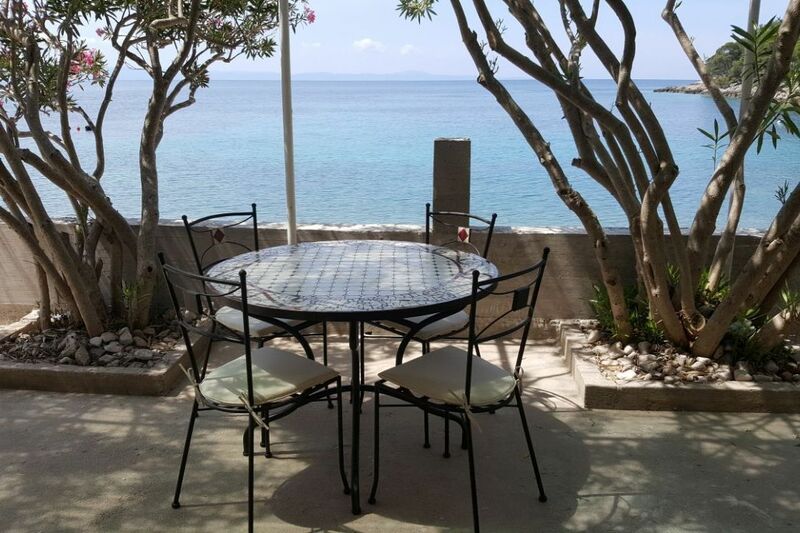 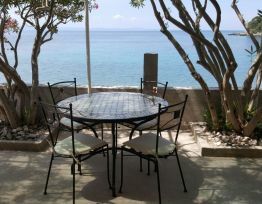 Disposes with private parking space and large terraces with a sea view. 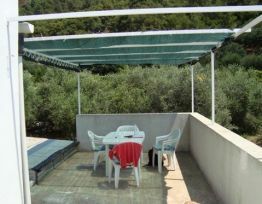 Each apartment offers its own terrace with a sitting set. 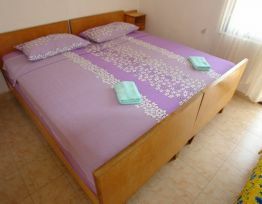 This type of offer is suitable for guests who want to take a break from everyday life, city noise, hustle and stress. 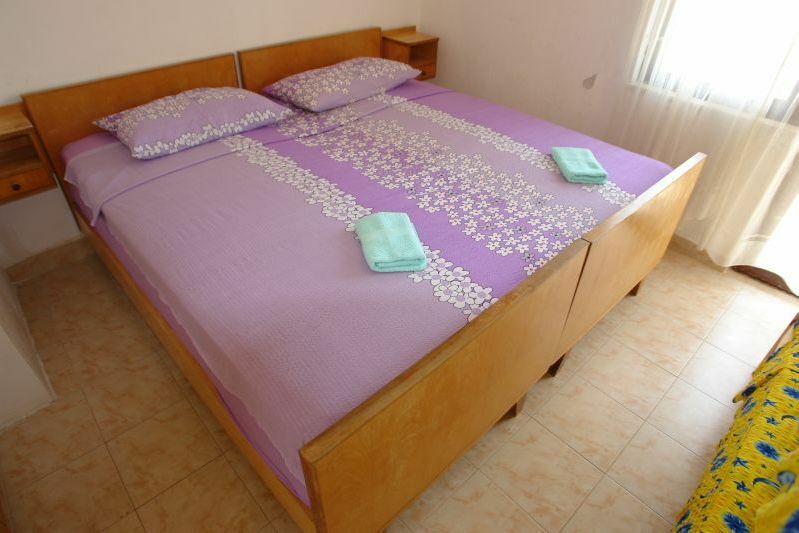 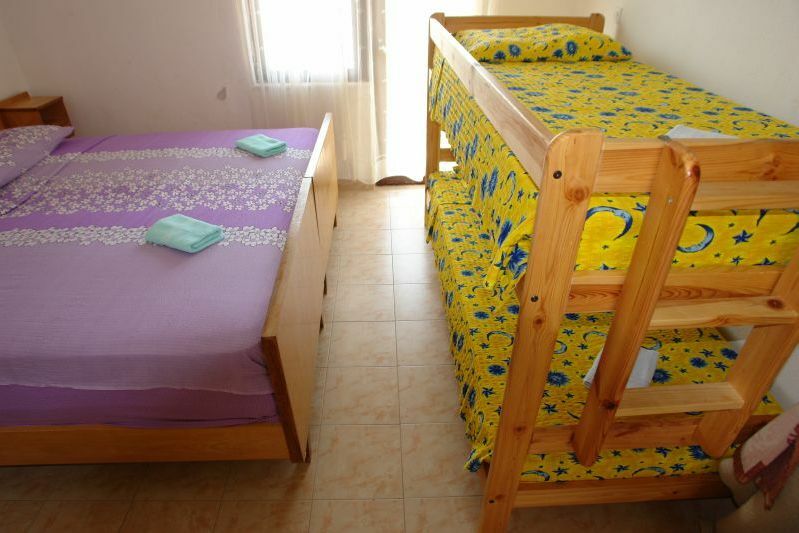  The house is an ideal choice for couples with children, group of friends or elders. 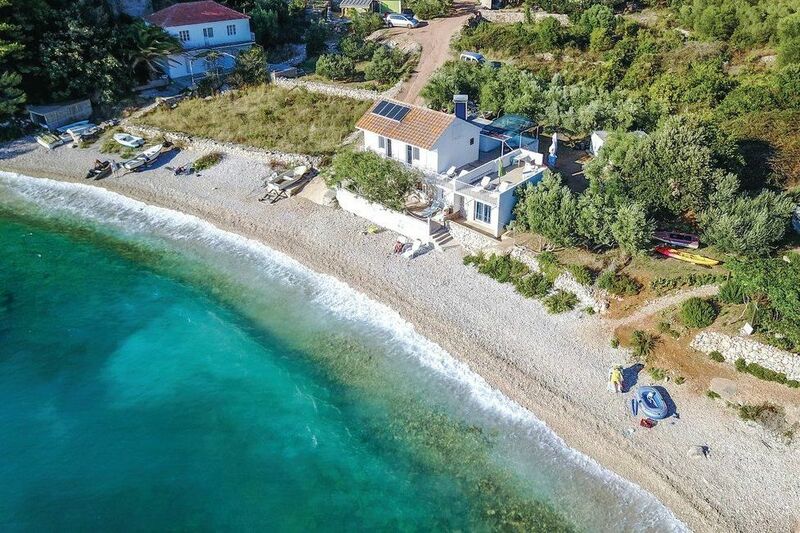 ROBINSON TYPE OF TOURISM House description: single standing house on a lonely position, idilic position, peacefull and quiet environment, just next to the sea, just next to the beach, courtyard in the greenery shadow, fireplace at the guest’s disposal, house with its own parking space. 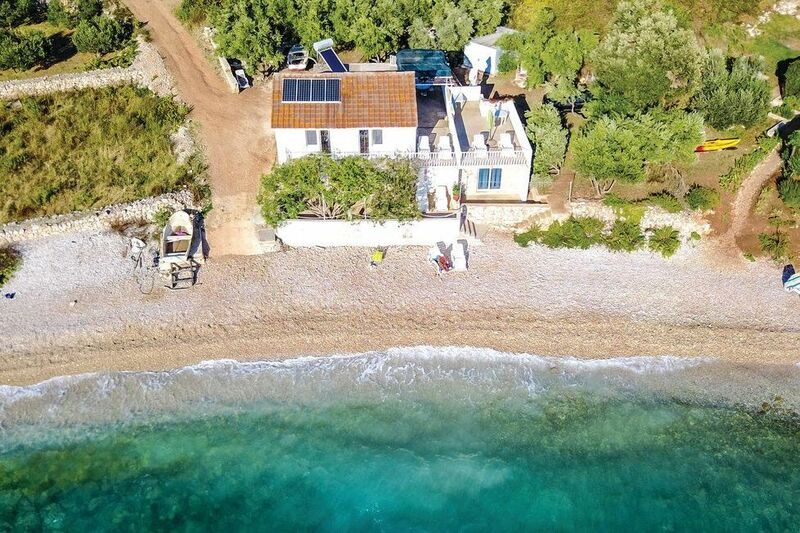 Additional description (robinson type of tourism): solar cells electricity power, water supply from the tank, there are gas powered instruments and equiment within the house, accessible road to the house is pawed , accessible road to the house is an off-road in a good condition. 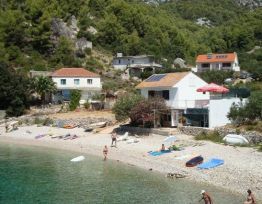 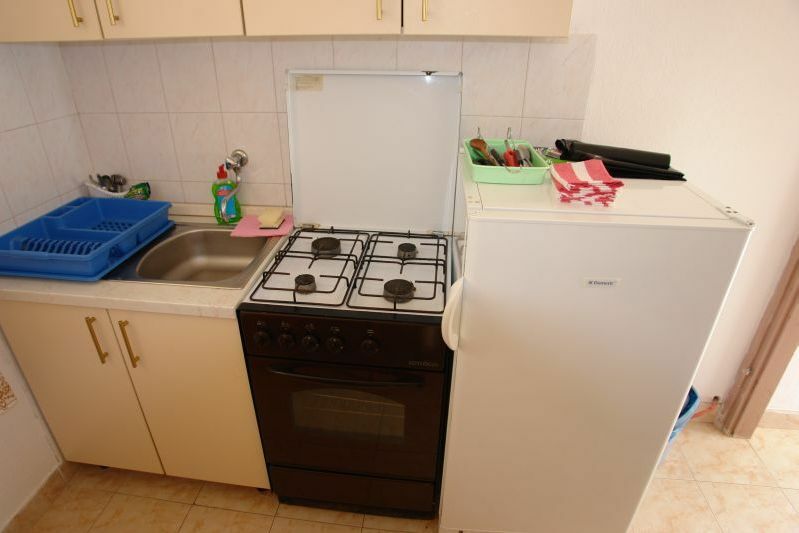 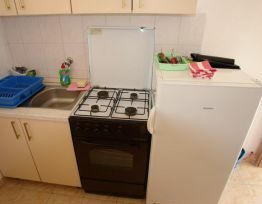 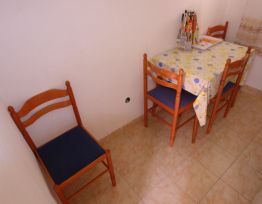 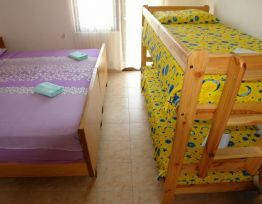 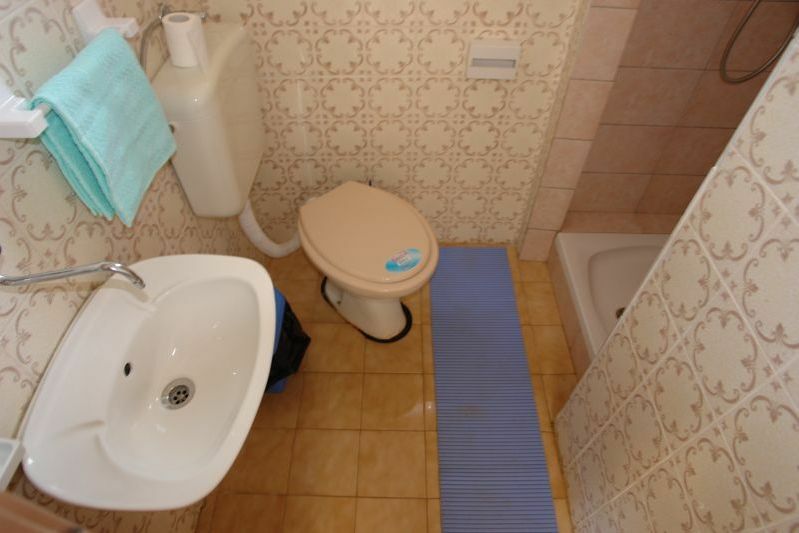 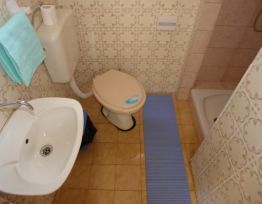 Distances: house is situated cca 5 km from the town center, nearest grocery shop cca 5 km away, nearest restoran cca 1,5 km away. 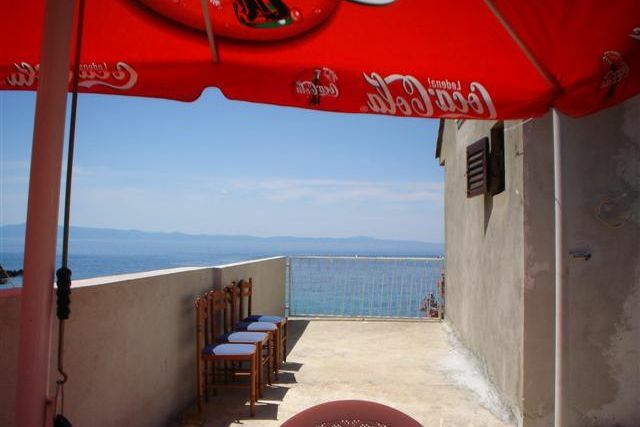 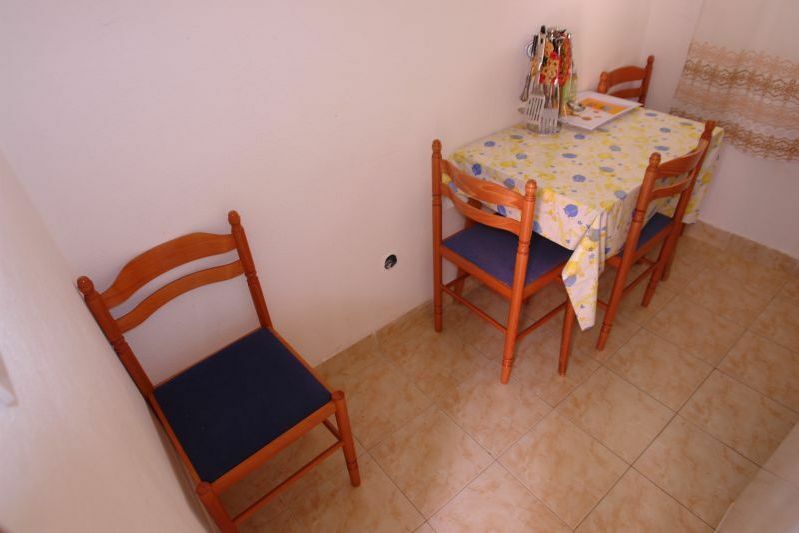 Apartment Mateo (4+2) Description: four beds, two extra beds, 43 m2, first floor, kitchen with dining room, two bedrooms (double bed), bathroom with a toilet, terrace (15 m2, East), balcony (6 m2, West), apartment enjoys sea view.